You wouldn't think 1,863 baseball fans could make so much noise at a ballpark, but the enthusiastic crowd at Veterans Memorial Stadium tried to will the Cedar Rapids Kernels to the Midwest League championship in the bottom of the ninth inning Sunday afternoon with their lungs and hearts. Unfortunately for the Kernels, beat-up catcher Brian Navarreto struck out with the bases loaded and now Cedar Rapids will face West Michigan in the fifth and final game of the Midwest League finals at the stadium Monday night at 6:35. The Whitecaps escaped Sunday, 2-1, after the Kernels wasted a prime opportunity to win their first league title since 1994. The Kernels wore somber but determined expressions as they filed into the clubhouse after the game. "Keep your heads up, boys. 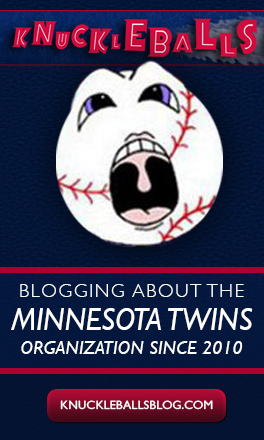 Keep your heads up," Manager Jake Mauer told them, trying to maintain their focus and enthusiasm for one more ballgame. "This is why we're here. Nine more innings tomorrow. Up, Up, Up!" Navarreto, the hero of the Kernels' Game 4 victory Saturday, sat quietly in the corner of the locker room Sunday, his head down while he studied his cell phone. Navarreto got walloped by a pair of foul tips in the top of the eighth inning, once off his head and once off his shoulder, yet stayed in the game. For eight innings on Saturday, Game 3 of the Midwest League’s Championship Series was another pitchers duel as the Cedar Rapids Kernels and West Michigan Whitecaps had battled to a 1-1 tie headed to the final stanza. Then the offenses came alive. When it was over, 1,707 fans at Veterans Memorial Stadium, including Minnesota Twins General Manager Terry Ryan, had witnessed a dramatic 3-2 walk-off Cedar Rapids win that gave the Kernels a 2-1 lead in the best-of-five series. West Michigan used a walk, a sacrifice bunt and a single to manufacture the lead run, taking a 2-1 advantage in the ninth inning and giving the Kernels just one more chance to avoid having to win the final two games of the series to claim a championship. COMSTOCK PARK, Mich. - For six and 1/2 innings Thursday night, the second game of the Midwest League Championship Series between the Cedar Rapids Kernels and West Michigan Whitecaps was exactly the kind of low-scoring pitchers duel that Kernels fans have come to expect in the postseason. Kernels starting pitcher Sam Gibbons had held the Whitecaps scoreless until that point and Cedar Rapids had managed just one run. By the time the seventh inning ended, the Whitecaps owned a 4-1 lead, Gibbons was finished for the night and Kernels Manager Jake Mauer was in the clubhouse after being ejected by plate umpire Richard Genera. The Whitecaps held onto that lead to the pleasure of 3,336 home-town fans enjoying their final game of the season at Fifth Third Ballpark and knotted the championship series at 1-1. The two teams now pack up and head to Cedar Rapids for Game 3 Saturday and the rest of the best-of-5 series. COMSTOCK PARK, Mich. - After serving as the general counsel for the Midwest League for more than 20 years, Richard Nussbaum is now completing his first year as president of the league. In January, he took over for George Spelius, who retired after running the league since 1987. Nussbaum, who played baseball at Notre Dame in the early 1970s, thinks the Midwest League has enjoyed a good season and continues to prosper. "I’m not sure it could have gone any better,” he said Thursday prior to the second game of the MWL championship series between Cedar Rapids and West Michigan. “Probably fewer rainouts for some of the clubs. “We had great attendance league-wide. We continue to draw about 10 percent of the entire fan base of all of minor league baseball across the country. Ten percent of those fans come to MWL games, which I think is remarkable. COMSTOCK PARK, Mich. - Anyone expecting anything but another pitcher's duel when the Cedar Rapids Kernels lined up to face West Michigan in the first game of the Midwest League Championship Series Wednesday night has not been paying attention. The Kernels swept their way into the finals on the strength of their starting pitching and had arguably their hottest pitcher, Felix Jorge, lined up to start Game 1 against Spencer Turnbull, the pitcher that MLB.com has ranked as the No. 5 prospect in the Detroit Tigers organization. Turnbull, the Tigers' second-round pick in the 2014 draft, struck out five of the first 10 Kernels he faced, but Cedar Rapids touched the hard-throwing right-hander for three runs in the fifth inning and that was enough to claim the opener. Jorge and two Kernels relievers shut down West Michigan, 5-0, before 2,802 fans at Fifth Third Ballpark. Game 2 in the best-of-5 series is scheduled for Thursday night in Michigan, with Games 3, 4 and 5 scheduled for Cedar Rapids this Saturday, Sunday and Monday. The Whitecaps showed they can generate offense by scoring 14 runs on 22 hits in their Division Series-clinching win over Lansing on Monday, but they managed just five hits off Cedar Rapids pitching Wednesday. COMSTOCK PARK, Mich. - The Cedar Rapids Kernels have not appeared in a championship series since they claimed the Midwest League title in 1994, but the men leading the Kernels against West Michigan this week are no strangers to the championship series environment. Manager Jake Mauer, hitting coach Tommy Watkins and pitching coach Henry Bonilla all have competed for minor league titles as players and/or coaches. Watkins was part of the Appalachian League championship team at Elizabethton in 2000 as a player. A year later, Mauer’s Rookie team at Elizabethton fell in the championship series when he was a player as well. Watkins and Bonilla played for the Rochester Red Wings when they fell in the finals of the Triple-A championship series in 2006. The Cedar Rapids Kernels and Minnesota Twins announced Wednesday that catcher Alex Real has been placed on the 7-day disabled list, retroactive to Sept. 15, with a left knee effusion and outfielder Zack Larson has been activated from the 7-day DL. Larson went on the DL on Sept. 2 with a left oblique strain. In 106 games for the Kernels, he is batting .214 with 20 doubles and 54 RBIs. 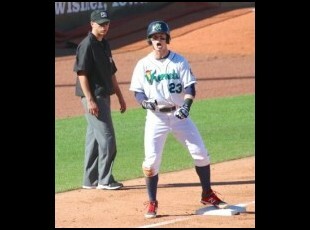 Real played in 64 regular-season games for the Kernels this season, batting .261 with three homers and 30 RBIs. He also has played in one playoff game, going 2-for-4 with two RBIs. Larson is active and available for Game 1 of the MWL Championship Series against the West Michigan Whitecaps Wednesday night. The Cedar Rapids Kernels will play the West Michigan Whitecaps in the Midwest League championship series that begins Wednesday night. West Michigan defeated Lansing, 14-5, Monday night to win the Eastern Division title, 2-1. 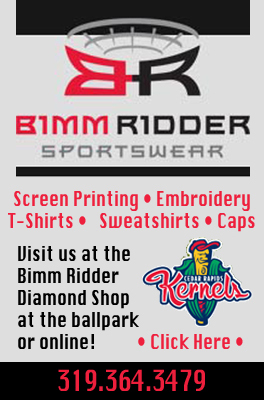 The Kernels defeated Peoria Sunday, 5-4, to claim the Western Division title, 2-0. The Kernels and Whitecaps will meet in a best-of-5 series. The first two games will be held at Comstock Park in Comstock, Mich., on Wednesday and Thursday night at 5:35 p.m. (Central time) both nights. Comstock Park is a suburb of Grand Rapids. The ballpark holds 10,900. Games 3, 4 and 5 are scheduled for Veterans Memorial Stadium on Saturday at 3:35, Sunday at 2:05 and Monday at 6:35. 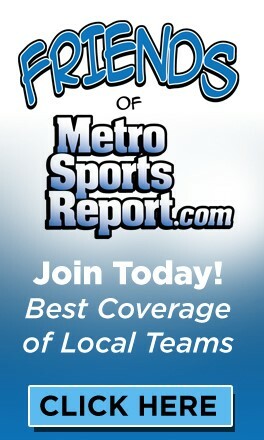 The first team to win three games wins the Midwest League title. The Cedar Rapids Kernels reeled off three straight wins to start their 2015 playoff season by combining strong pitching with mistake-free defense. One bad defensive play and some questionable base-running nearly ended that winning streak Sunday, but the Kernels clawed back from a 4-1 deficit to claim a 5-4 win over the Peoria Chiefs for the Midwest League Western Division title. Cedar Rapids will be seeking its first Midwest League crown since 1994 when the final round begins Wednesday against Lansing or Western Michigan, which are battling for the Eastern Division title. The series between is tied, 1-1, with Game 3 Monday night. The Eastern Division champ will host Games 1 and 2 Wednesday and Thursday, with Games 3, 4 and 5 at Veterans Memorial Stadium next Saturday, Sunday and Monday in the best-of-5 series. Game 3 in the MWL finals will begin Saturday at 3:35 p.m. at the stadium. The Kernels belted out 13 hits Sunday and all four of Peoria’s runs were unearned. PEORIA, Ill. - While playing baseball for the Bradley University Braves, Max Murphy called Dozer Park in Peoria his home field. On Saturday night, Murphy visited Dozer Park again and held his own personal homecoming celebration. Murphy’s two-run home run to deep left field in the seventh inning snapped a 1-1 tie and powered the Kernels to a 3-2 victory over the Peoria Chiefs before a crowd of 989 at the ballpark Murphy used to call home. The win gave the Kernels a 1-0 lead in the best-of-3 Midwest League Western Division Championship Series. The Kernels can clinch the series Sunday at Veterans Memorial Stadium in Cedar Rapids at 4:05 p.m. A third game, if necessary, would be played in Cedar Rapids Monday night. Murphy, the Kernels designated hitter, had been held hitless in the postseason going into the game, but his first playoff hit was a game-changer.